Alexis Stephens and Christian Parsons are living the dream. And while the house might be tiny, their project is nothing but! Learn more about these trailblazers and their exciting documentary project in our exclusive interview with Alexis in March 2015. I am the producer and co-creator Tiny House Expedition. I am a graduate of the UNC School of the Arts’ Film School, I have a degree in film producing and have worked in both the film and marketing/advertising agency worlds. Last year I began drastically downsizing as a way to simplify my life, and at the same time, I conducted extensive research on tiny houses and the movement. I was so inspired by the many incredible tiny house community projects across the country that I knew that I needed to tell their stories and become a part of this positive social movement. That’s how Tiny House Expedition was born! A tiny house is a home that is designed to be anywhere from 100 to 400 square feet, compared to the average American home which is 2,500 square feet. They come in all shapes and sizes but tiny houses focus on smaller spaces and simplified living. If you are interested in your own tiny house, attending a workshop provided by the Tumbleweed Tiny House Company is a great place to start! Why are people so interested in them right now? Living small is not a new concept but is gaining popularity due to desire to consciously simplify as a means to live a fuller life with less things and more experiences. It allows home owners to step away from consumerism and gain more freedom. Efficiently designed, tiny houses create a more sustainable and more tailored living experience. They are low cost to build and to maintain, allowing more financial freedom, less stress and greater connection to your surroundings (nature, your neighbors, community, etc.). How does a Tiny House impact the environment vs. a traditional house? Do you have to build one from scratch or are there kits? One of the wonderful things about tiny houses is the accessibility. It is the ultimate DIY project and there are so many great resources available to help individuals design and build their own from scratch or using a pre-fab kit. Also the tiny house community is incredibly supportive and, in many cases, willing to share advice on building. You can purchase plans online and attend workshops on downsizing, building, and more. There are a growing number of tiny house builders who can partially (think barn-raiser) or completely build the custom tiny home of your dreams, from simple to extravagant. If you are interested in purchasing plans for your own tiny house online, visit Four Lights for exclusive plans from Jay Shafer. Why are you building one? We have a strong desire for a simple, sustainable and mobile lifestyle. For us, a tiny house on wheels fits perfectly. Our cozy, little home will serve as our retreat as we travel the country during the Expedition. 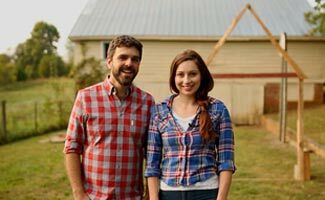 Tell us more about your Tiny House Expedition project? 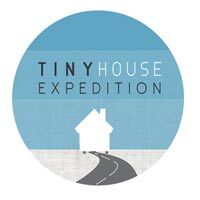 Tiny House Expedition is a community outreach and documentary storytelling project led by myself and filmmaker/partner and boyfriend, Christian Parsons. 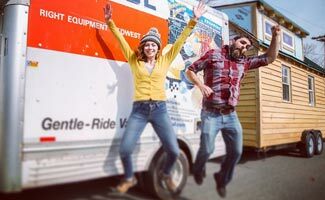 We are embarking on an extraordinary expedition across the nation in a tiny house on wheels, to document tiny house community building projects across the US and Canada. Along the way, we will directly engage with many communities to share the benefits of living small and valuable lessons learned from the tiny house projects we are documenting. We seek to inspire more positive community building through tiny housing projects, which provide quality, affordable and sustainable housing solution. When do you plan to hit the road and how can we follow your journey? We plan to hit the road with our tiny house in tow in late Spring 2015. Follow us and our expedition via our website and on Facebook, Instagram and Twitter. We will be holding open houses and participating in community events across the U.S. So, sign-up for our newsletter and stay tuned! We’d love to meet you on our journey. Feeling generous? Tax-deductible donations to help fund our documentary are greatly appreciated. Click here to donate to this important project. Thinking about joining the tiny house revolution? This infographic1 has some pretty eye opening stats on how much money and energy you save with a tiny house versus a conventional home. We believe that less truly is more, and a tiny house provide an environmentally and economically sustainable housing option that has the power to make a positive impact in communities everywhere. Could you live in a 400 square feet home? Michelle is passionate about living a healthy life. She shops farmers markets, cooks organic, and eats vegetarian. Juicing and smoothies are a part of everyday life in her home. So are recycling, composting, and gardening. I guess you could say Michelle has a green thumb. Even when a plant doesn't make it under her care, she is still dedicated to making the earth a greener place for future generations.